Air Baltic has announced that it will retire its Boeing 737 aircraft this fall, one year earlier than originally planned. The airline will replace the 737s with Airbus A220-300 aircraft over the next few years. Air Baltic will soon become an all Airbus A220 airline. Photo: Air Baltic. What did Air Baltic say? Air Baltic currently has 14 Airbus A220-300 aircraft in its fleet and is scheduled to receive eight A220s this year. Latvia’s flag carrier also operates six Boeing 737-300, two Boeing 737-500 as well as 12 Bombardier Q400 turboprop aircraft. The airline phased out three 737-500s late last year. While Air Baltic has specific plans for its Boeing 737 aircraft, it is not clear when it will retire its Bombardier Q400s. Air Baltic has not announced how much longer it will operate its Q400s. Photo: Air Baltic. 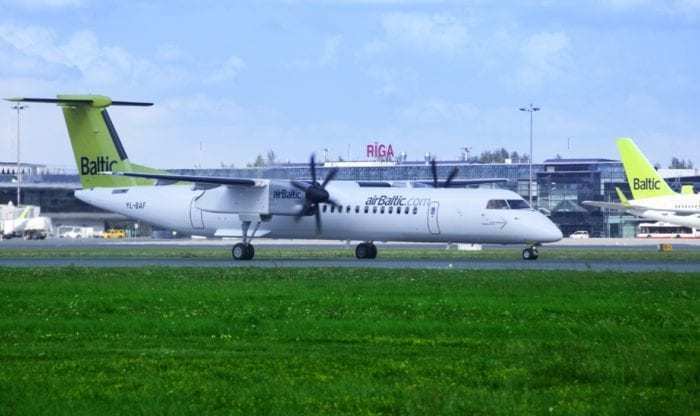 The airline calls itself a “hybrid airline,” because it takes “the best practices both from traditional network airlines and low cost carriers.” It offers direct flights from the capitals of the Baltic States, Riga (Latvia), Tallinn (Estonia), and Vilnius (Lithuania). Its destinations include cities in Europe, the Middle East and the Commonwealth of Independent States. The airline has codeshare agreements with various airlines, including Air France, British Airways, Etihad Airways, KLM Royal Dutch Airlines, and TAP Portugal. Air Baltic received its first A220 in 2016 when it was still known as the Bombardier CS300. The airline’s A220-300s offer seats for 145 passengers. They boast a range of 4,575 km and a cruising speed of 871 km/h. Air Baltic is a big fan of the aircraft due to the great flying experience it offers its passengers. The aircraft features wider seats and larger windows as well as more space for hand luggage in the cabin. Furthermore, Air Baltic appreciates its reduced noise level and reduced emissions. Air Baltic’s A220s offer passengers a great flying experience. Photo: Air Baltic. Interestingly, Air Baltic will wet-lease two of its Airbus A220s to Lufthansa starting March. These aircraft will support Lufthansa’s operation during the busy summer months. They will be based at Munich’s Franz-Josef-Strauss Airport (MUC). According to Simple Flying, Air Baltic is even considering launching a brand new all Airbus A220 airline. Several airlines have been very successful with only one fleet type; Southwest Airlines is just one example. As a matter of fact, fleet uniformity can lead to significant cost savings primarily due to reduced maintenance and training costs. 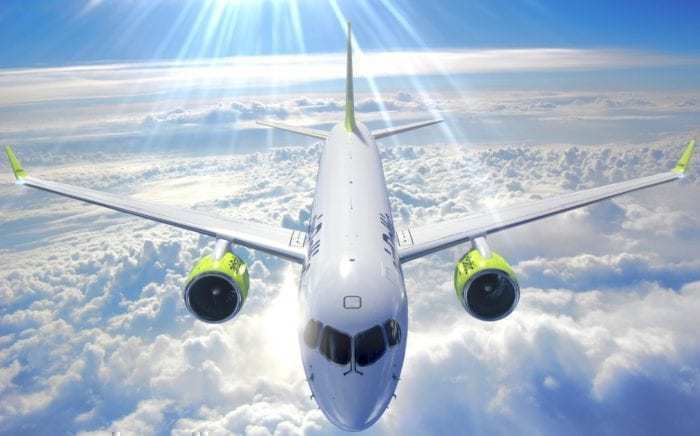 Nevertheless, only time will tell if this will hold true for Air Baltic, and if its approach of operating an all Airbus A220 fleet will be successful in the long run. Do you think that it is a good idea for Air Baltic to replace its Boeing 737s with Airbus A220s? small market, limited destinations, smaller planes = brakeven or profitable enterprise. So no, here we are talking about the efficiency difference. And for filling the additional seating spaces, the economy in the baltic countries can explain this. And if passengers have the choice between an airline with the A320 or B737, and the A220… Well, they would most likely choose the A220 which is very quiet and comfortable ! Range is 5,920 km. Your about 1.400 klicks short. Air Baltic’s website states that the commercial range of its Airbus A220-300 aircraft is 4,575 km. The max range for the A220-300 is 5920 Km. 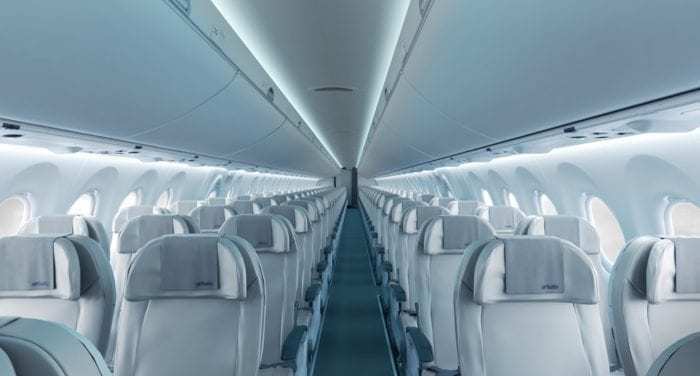 The 220’s seats are wider than any B-737 economy class, the 220’s overhead bins and the windows are larger, the ride is quieter and the engines are more fuel efficient and eco-friendly, and maintenance is less costly. It’s up to the airline to select softer seat cushions. The 220’s are much better overall than the old 737-300/500’s but the purchase price of new 220’s could be an ROI issue, even with a few more seats to its advantage. I’m also looking forward to the A220-300 to replace the A-319, if the -300 could increase its current range……. Nice they went all C series and divested inefficient frames.. Sorry, I’m Canadian. Airbus did NOT design,or develop it. I’m currious to see if air Baltic have a discrete big smile with all the B767 (MAX) problem are ground end worldwide! I don’t Think then will never regret to have the A220 float now!